I’d like to talk with you about a lesson that I was reminded of with my own experience in 3D printing that I thought would be very useful to all of you out there. This comes down to when you’re using your printer, you encounter a problem and you are unable to at least initially solve that problem yourself. Then you’re left with, “What do I do?” Depending on the manufacturer of the 3D printer that you have and you’d be using, you might call the company for tech support, which I’ve done and I do many times. I’ve done it many times and I’m sure I’ll continue to do it many times because a lot of times there are issues that the company can help you solve. A good example of that might be if there’s been a firmware update that solves a certain problem that the printer is having or that you’re experiencing. You can call a company and make sure there is a new firmware update. If you talk to the right people and get deep enough within the organization, they might tell you, “There’s a new firmware update we haven’t released yet that might solve that problem,” and you may be able to get them to give it to you sooner. What I want to talk about beyond that type of a problem they could help you solve is that I find too often when I call a customer service at a 3D print manufacturer, and I do this for printers I own and also printers I don’t own yet but I test. Whenever I encounter a problem with a 3D printer especially if I’m testing it for review or something, I will call that company as if I’m a customer and experience their customer service the way that you would, anybody would, as an actual end user. I try to solve it that way first. Only if I reach the end of that process and hasn’t solved the problem will I then reveal to the company who I am and, “You may want to help me try to figure this out so I can complete the review of your 3D printer,” and then continue to move on and try to get help that way. I try not to play that card unless I absolutely have to, but I will when I need to. The most recent experience is with my own 3D printer that I own, it was not with one that I’m reviewing. I will have a problem and call the company and I feel like the manufacturers of 3D printers all too quickly sometimes will say, “If you subscribe to our service plan, then we can replace the whole printer.” The representative from the 3D print company might say to me, and they’ve been unable to help me resolve the problem, “If you purchase the service plan, whether it’s an extended warranty or an annual service contract, we’ll let you purchase it now and retroactively apply it. Then we’ll send you a new printer and you can send the old one back.” To me that’s not solving the problem. I find that companies all too quickly are punting the ball down the field instead of trying to solve the problem. It may not be the fault of the actual customer service representative who you’re communicating with, but I feel like a lot of companies don’t dig deep enough and help you try to find the problem. Self Service 3D Printing: Companies all too quickly are punting the ball down the field instead of trying to solve the problem. Here’s where you can help yourself a great deal. It’s not that my printer is a couple of years old and I wouldn’t necessarily mind replacing it and getting a new one now. In some ways that’s attractive, but in other ways that’s a week to ten days or two weeks’ worth of downtime that I don’t have my printer that I’m working with. Are you going to actually get a brand new one or is it going to be a refurbished one, one that came back from somebody else and has been fixed up and put back out there? I don’t always necessarily believe I’m going to end up with a better or not a brand new machine. It may not end up with a better machine than I had to start with. I’ve found that digging deeply into the problem and sometimes I help even the customer service professional realize maybe they’re not asking the right question. I don’t necessarily say it to them that way, but I say, “What about this and what about that? Is there a way we can explore something here?” I’ll give you an example, and I’m not going to call out the company because I don’t think it’s important who the company is in this case. I had a problem with my 3D printer where for whatever reason, the nozzle for the extruder was too close to the build plate and it was shutting off the flow. Go and recalibrate the build surface and its position relative to the nozzle. I go through that process and as I did it, I learned the build plate was already calibrated. There are no further adjustments I could make that would solve this problem. I know a lot of you out there might be thinking, “How can that be if your nozzle is pressing into the build plate and it’s shutting off the flow of plastic coming out, then you got to move it away.” That’s true and in some printers you could easily do that and in other printers there’s more of an automated or assisted calibration process that you have to go through. It’s not so easy to go ahead and move it away. Some printers are more manual than others and you can turn a screw and move it away, others it’s not so easy. In this particular printer, I went through its automated bed calibration and it said it’s calibrated, no adjustments are needed. There’s another function within the firmware of this printer where I could reconfirm rather than just calibrating the whole level of the build plate in terms of visit, flat and completely co-planer with the motion the nozzle is going to make all around the build plate, there’s another setting where you can calibrate the Z-axis distance of the nozzle from the build plate. I went through and did that and it said it’s perfect, it’s right on the money. I go and conduct some prints and clearly as soon as the plastic starts being extruded out of the nozzle, I can see over a good large portion of the build surface that plastic was not coming out on that first layer because the nozzle was too close to the build plate and it was preventing the flow from coming out. On certain printers with the filament drive motor, you can hear when it skips, you learn what normal sounds your printer makes, then when there’s an unusual sound and you think, “It shouldn’t be making that sound. Something may be off.” I’ve come to learn on this particular printer when the filament is not flowing properly through the nozzle, I can tell that the filament drive motor skips. That’s because it’s trying to push the filament and there’s too much back pressure or force against that action and it’s unable to push the filament forward and something has to give. In this case in this particular printer, I can tell the filament drive motor clicks in a certain way and I can tell I’m not getting extrusion happening out of this nozzle. It wasn’t consistent across the whole build surface. In certain areas, filament was extruding and in others areas it wasn’t. It led me to think something must not be right. That build plate isn’t completely level. I checked all that out. It wasn’t completely flat I thought and then I checked it with a serious metal straight edge and it was completely flat. I had no reason to doubt the calibration settings or the calibration system that was making sure that build plate was level. For those of you that are not terribly technical or interested in technical stuff, this may be pretty boring for you, but for anybody that’s operating your own 3D printer at times and you need to get through some of these things, hopefully this will be of interest to you. As I was having this problem, one of the things I felt I needed to do was I’m going to call customer service at the company and see what am I missing here. Is there some simple thing or setting that I haven’t done right or something I haven’t been thinking of that is going to quickly solve my problem? I think that’s a good thing to do. Call customer service, figure that out, make sure you don’t have this a-ha moment like, “I should have thought of that. If I had done that, it would’ve been so simple.” I go through the whole process with them. This is over the course of a week of back and forth of emails. It started with a phone call, but then back and forth with emails, and it wasn’t solving my problem. 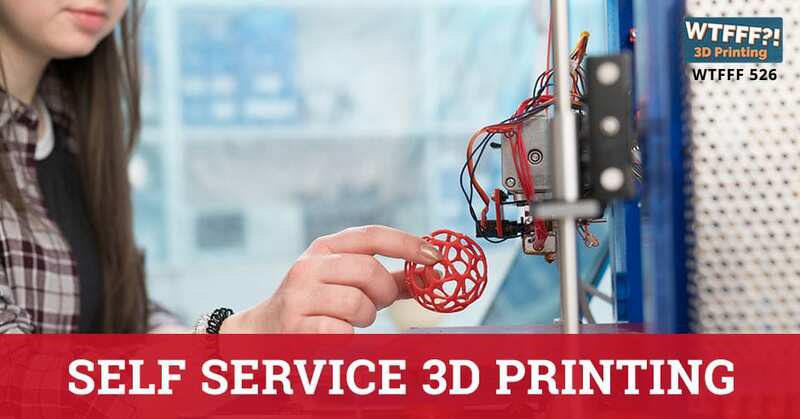 Self Service 3D Printing: If something falls outside of the system at some point, the only resolution they can come up with is replace the printer. A lot of times that decision can be premature. This is where they offered me if I want to pay for an extended warranty now, they’ll send me a new printer and I can send the old one back. I wasn’t excited about that prospect about that situation or resolution. It may have solved the problem, but it’s a pain in the neck. It’s a big deal. Get a new printer, get it in here, unpack it, set it up, pack the old one up properly, send it back, and all the downtime. I was not interested in it. Based on what I’m telling them, they don’t have a good solution, so let me take matters into my own hands. Let me look beyond what they’re telling me because the reality of a lot of customer service technicians is that they don’t have a whole lot of hours of 3D printing under their belt. They’re following a prescribed playbook of, “If you get this question, here’s the answer or, if somebody comes to you with this problem, here’s the things to do. Go through this procedure. If it doesn’t work, then do this. If all else fails, if nothing works, then offer to replace the printer or sell them an extended warranty package, and then replace the printer.” That’s unfortunate because I know companies when they get big enough, they have to have systems in order to do business and in order to accomplish things. If something falls outside of the system at some point, the only resolution they can come up with is replace the printer. A lot of times that decision can be premature. In this case, it was for me as well. I look beyond and I said, “The flow is shutting off. What might be the problem? If I trust that the build plate is properly calibrated in terms of its level and being co-planer to the nozzle, then that’s good. That’s one thing I could eliminate,” although I could have played with that and changed it and tried to maybe on purpose put it out of calibration and then re-run the calibration to put it back, but for whatever reason I didn’t think that was my issue this time. Clearly my nozzle was too close to the build plate on that first layer, so it was like, “Can I manually change overall the Z-height of the build plate when it starts?” I’m like, “Yeah, I can manually offset that.” I did it by a couple of different small amounts and it still seemed to have most of the same problem, but by the third time I adjusted it and moving the build plate further away from the nozzle, just in total, not changing its level but moving it away, as soon as I did the next print, the material flowed properly and everything was working. My entire problem was that for whatever reason, the nozzle was too close to the build plate and it needed to be moved farther away. 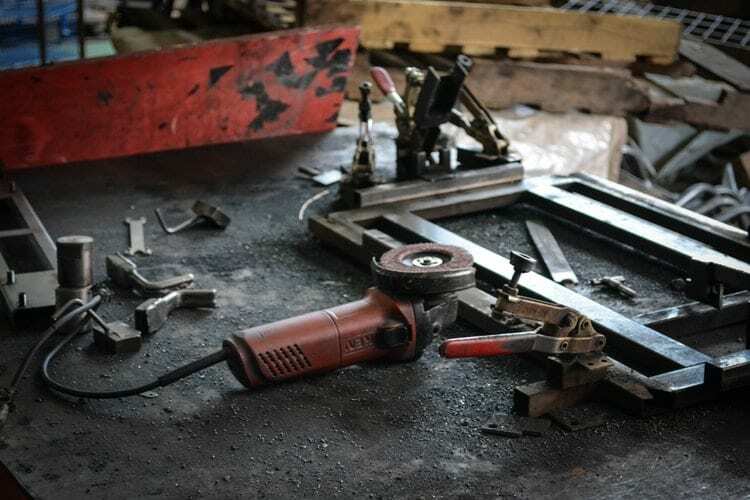 The firmware’s automated software routine and process for determining not only the level of the build plate but how far away the build plate is from the nozzle, you would think if you recalibrate all that, that it would be right on the money and work. In this case, that wasn’t working and it wasn’t right. I had to help myself and use my head and my experience as to what seemed to be wrong and had the guts to go and make a change to it manually despite what the automated things would tell you is right, move it further away and darn it if it didn’t work. It worked great. I saved myself a lot of headache and a lot of downtime and several hundred dollars if I was going to consider buying an extended warranty and getting the printer replaced. What I did even though it took me some more time and experimentation, which my time is very valuable in terms of what am I going to spend my time on certain things in my business, tinkering around with the 3D printer and trying to figure this out with no definite result may not always be seen as the best use of my time. In this case, I decided I was going to give it a shot because I didn’t want the inconvenience of having to pack up and ship the printer back and get a new one. They’re expensive, it bothered me a little bit too that I should have to pay for an extended warranty. I wasn’t liking the idea of that in principle. Whether it was the best business decision or not for me, I guess that’s debatable. I’ll tell you in terms of the 3D printer company, I did them a big favor because even if I would have paid that extended warranty so they made a little money on me, I bet the cost of taking the old printer, figuring out what’s wrong with it and doing something with it and shipping me a new one at no profit and especially after shipping the new one out and that’s not cheap, all the way across the country. I saved them a bit of headache and expense and lost profit as well. At the end of the day, they should be thanking me for that too. I thought I would share that experience with you because this is something I’ve run into a number of times in the past, not just now on this one printer. I used to have a different printer, a dual extrusion printer from the Netherlands. Actually, I’ll say which one this one is because I did a past episode on this, so this isn’t new information, but a Leapfrog 3D Printer. I had all sorts of issues at one point with that 3D printer. I think honestly the manufacturer put some of their firmware updates out too soon and I had an issue where my prints were being elongated in the Z-axis, meaning a print that I intended to be only about 35 millimeters tall as a whole object, the model I created and you slice it and you expect it will print that. It inflated it and it would be twice that or even more. It was increasing the amount of Z-height distance it moved with every layer you would expect maybe it was only going to do 200 microns at a time and it was doing 300 or 400 microns at a time. You get this print that the layers were not bonding to each other very well at all because of that and because they’re moving too far away. It was crazy. It’s like, “Why is this happening?” The manufacturer, in this case in the Netherlands, it’s a complicated task if you’re going to go and ship a printer back and that’s no fun, so I had to help myself and help the company figure out what was wrong with their 3D printer. Ultimately, we did figure it out. They had updated their firmware and there was some setting that was allowing their Z-screw in the Z-motor to advance a half a step or something in the stepper motor that it shouldn’t have. When they redid their firmware, they didn’t realize that some of the other improvements they made elsewhere had caused this unintended problem and consequence. I talked about hearing something, knowing your printer and how it sounds when it’s under normal operation, when you have a funny sound creep up, you know that’s not normal. Something’s not quite right. This is the same thing. Every time before the printer would change layers, there was this loud thump that took place and it was because that Z-stepper motor wasn’t where it was expected to be and once it got turned on it advanced to this further rotated position. Because it had to do it very quickly, when it got to the point it wanted to, it made a loud noise. It’s this loud thumping sound. I could also see it in the Z-screw. Self Service 3D Printing: The reality of what a lot of these manufacturers are doing is they’re experimenting; they’re forging new territory. I shot some video with audio and sent it over to the company and they were able to then understand what was happening and what was wrong. They adjusted their firmware, sent me a new one, and then that solved the problem. This is advanced ownership and an advanced participation of being a 3D print owner and working with the manufacturer. It’s the reality of this industry that we all love and we’re enjoying and benefiting from in many different wonderful ways. 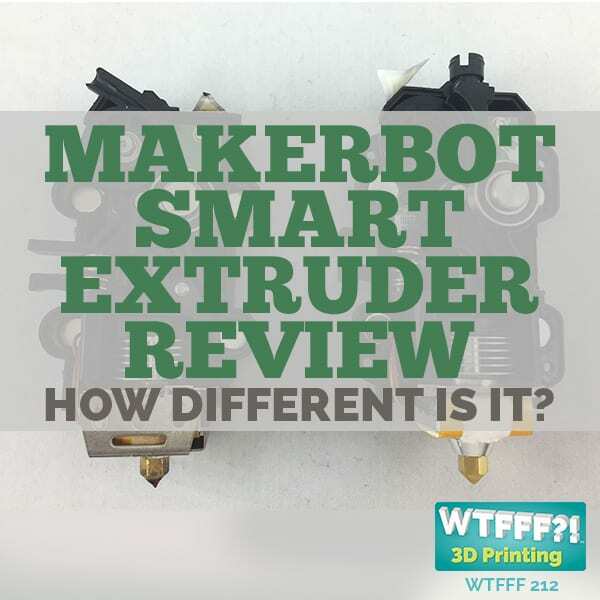 I don’t mean this to be a gripe session, that’s not my point here at all, it’s to share some information that I hope will be valuable to you and maybe help you in your journey with your own 3D printer. The reality of what a lot of these manufacturers are doing is they’re experimenting; they’re forging new territory. This is all experimental to a large degree, even the ones that have been in this for a very long time. We all have to understand and expect that everything isn’t going to work perfectly as well as you would expect it to. It’s not like you’re going and buying a car from a dealership. Cars have been manufactured for more than a hundred years and when something goes wrong, take it to the dealer and they’ll fix it. 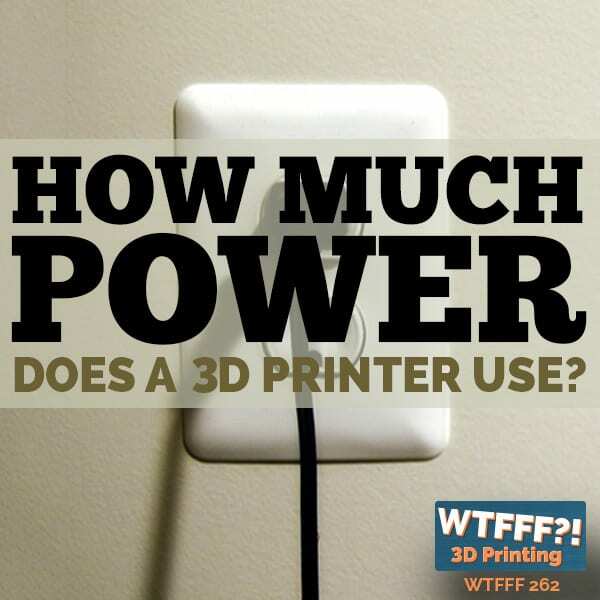 It doesn’t work that way here in the 3D printing industry. We all have to be aware of that. The path of least resistance for a lot of us may be to help ourselves and to experiment even more and work in cooperation with the 3D print manufacturer to help solve the problem instead of develop a little more of an adversarial relationship or what may end up becoming one if they don’t immediately have your answer and aren’t able to solve your problem and aren’t jumping through hoops to do it. 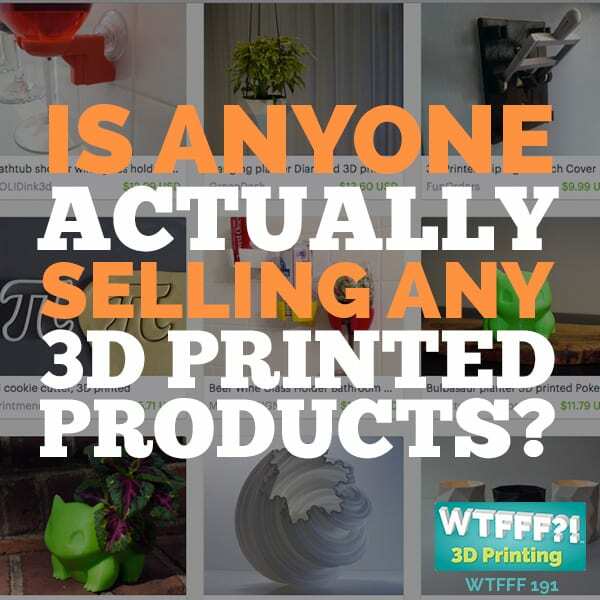 Don’t get me wrong, to an extent, as we have talked about, many times on this podcast in the past that if we don’t get this industry to the point where 3D printing is very predictable, even desktop 3D printers in the home situation as opposed to commercial situations, if we don’t figure this out and make it so that printing something on a 3D printer is as simple as printing something on an ink jet printer for paper or a color laser printer for paper, then there’s only so far this industry is going to go and it may stay in the makers and the hobbyists community and education community and we’ll never get to a point where there’s 3D printers much more commonly placed in people’s homes. I don’t know if that’s necessarily a bad thing or a good thing. 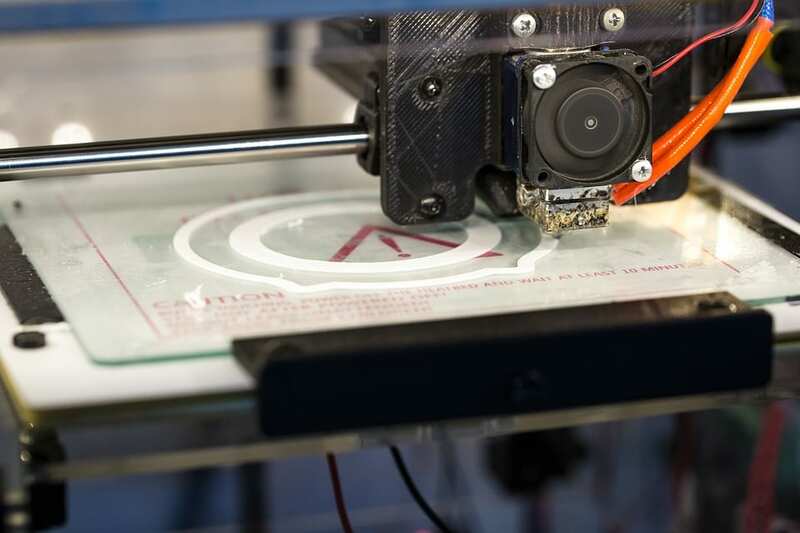 In some ways, some of the 3D printing industry might think that’s a bad thing because then their market will be limited, but maybe it’s always going to be that way. Maybe the reality is these are imperfect systems. Never say never but maybe it is going to be decades here before 3D printing is so predictable and so reliable that you don’t have to worry about being a technician and helping the manufacturer figure out what’s wrong with their printer and you can focus entirely on what you want to be making with it. That would be a very nice place to be, but as long as we’re pushing the edge of the envelope, I think we’ll be there for a while. Another side note is I’ve had some conversations with the CEO of an up and coming 3D printing manufacturer who is not putting their products on the market yet. I learned and heard about what they’ve been doing, experimenting and truly breaking new ground with some of the components of their 3D printer in order to make that experience more predictable. 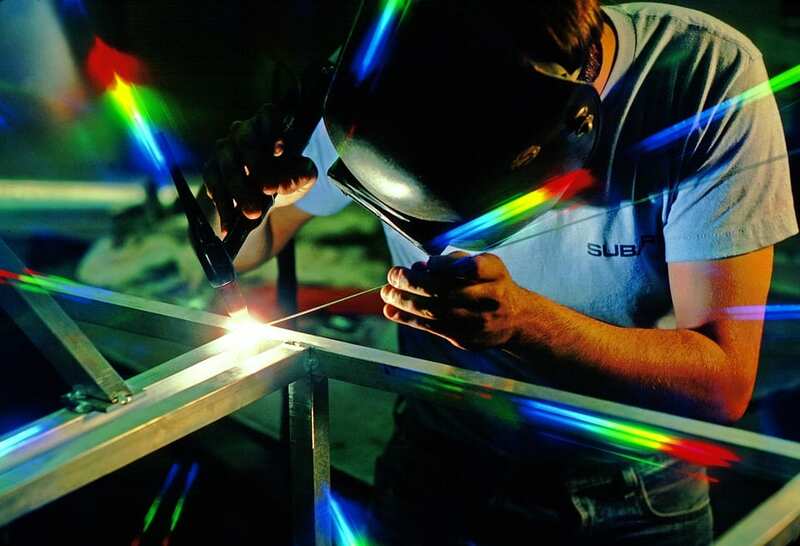 They’re doing an awful lot of testing and an awful lot of time and money in R&D well beyond what they ever thought they would do when they embarked on this journey and created this new company and started building their own new printer. It doesn’t surprise me that it’s been a lot more challenging than maybe they first thought. I had concerns about that in the very beginning because I’ve been fortunate enough to be talking with this individual and see what this company has been doing for years here as they’ve been doing it. I’m impressed and pleased to see how much testing and experimenting they’re doing. What it’s led them to are some significant innovations that are going to benefit all of us in 3D printing. It’s going to be ultimately will be very valuable for this company as they’re developing new technology that’s furthering the industry instead of using off-the-shelf components and trying to put together a better printer doing it their way however they think that should be. Too many companies make assumptions that they’re going to use off–the-shelf components, put it together differently, and “Because we’re software people, we will have better software and the printer experience will be better as a result.” That may be, you may with software be able to make a better printing experience, but with off-the-shelf components, at some point there’s going to be a great similarity between different 3D printers. I’m privy to some information and there’s some lessons here I can share with you openly and not out them because I don’t think it’s appropriate and the right time to do that, but I’m impressed with how this company not only has realized they had to do it to be different and to be better and to make something that’s more predictable and achieves new things. For this time and effort that they’re spending, as painful as that may be for them to not be in revenue selling 3D printers, ultimately they’re going to be a much better company for it and do better things. 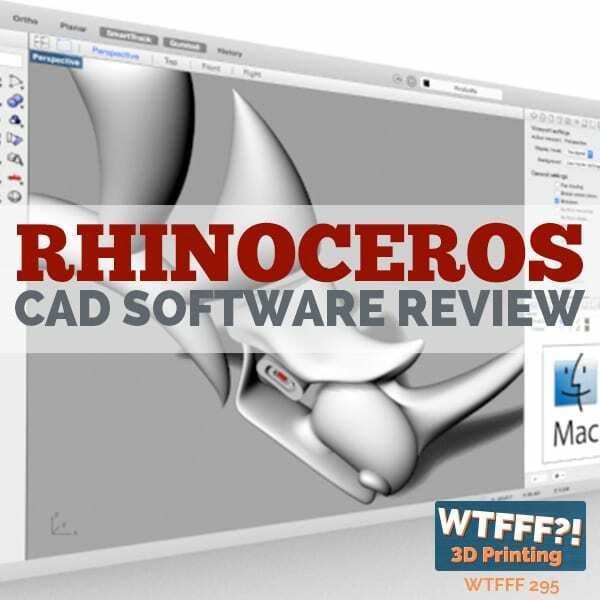 The main point I wanted to share with you was this idea that sometimes we need to help ourselves and go beyond what the 3D print manufacturer or even it could be a software issue, the software CAD company, software manufacturer might recommend. The reality of being in the desktop 3D printing space and enjoying that is that you’ll help yourself if at times if you go beyond the strict actual rules, guidelines and recommendations and use your own head and help solve the problem and maybe work with the manufacturer to figure it out and offer them other things to consider, because the reality is they don’t all know. That’s the nature of the beast. Let me know what you think about this, if you agree with me, if you don’t. I’m sharing with you my thoughts and from my experience and hopefully that will be valuable for you and keep you out of a jam at certain times, maybe a literal jam or a figurative jam. I’d love to hear your thoughts. If you have some similar experiences, please share them with me. Reach out anywhere on social media @3DStartPoint, or to 3DStartPoint.com and leave a comment. I’d love to hear your thoughts, good, bad or indifferent. That’s it for now. We’ll be back next time. 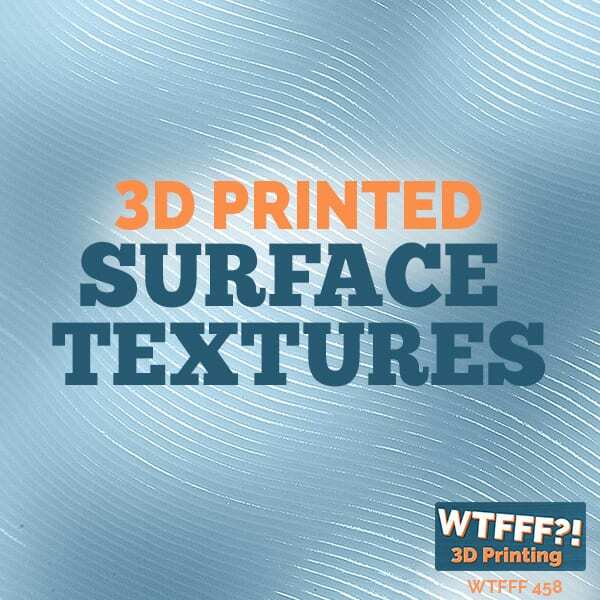 This has been Tom on the WTFFF 3D Printing Podcast.